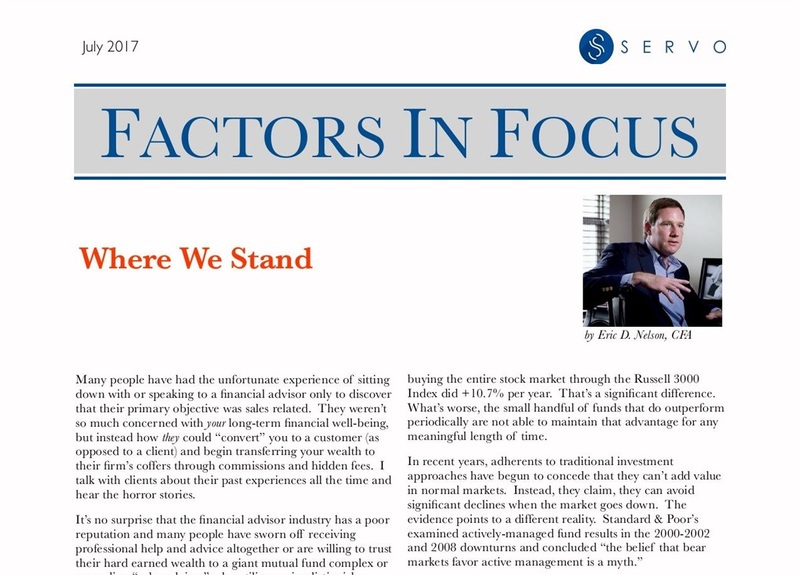 We've posted the July edition of our Factors In Focus newsletter, "Where We Stand," to the website. Previous month's editions can be found on our newsletter page here. As always, clients will be receiving their copy in the mail shortly.